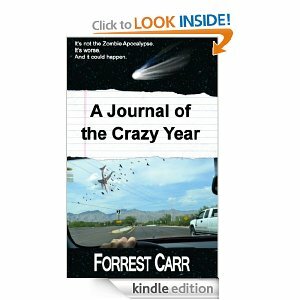 Today I am reviewing A Journal Of The Crazy Year by Forrest Carr. Blurb: John Cruz awakens to find himself in unfamiliar surroundings. He learns that he’s been in a mental hospital for nearly three years – confined there for a crime he does not remember, a crime the hospital staff refuses to discuss with him. But then he discovers something even more bizarre. While he and other mental patients like him have been mysteriously recovering in recent months, the rest of the world has begun a slow descent into madness, thanks to a mysterious disease that causes many of its victims to go violently insane. Meanwhile, overhead a spectacular apparition splits the skies. The largest comet in recorded history is making a close approach to the Earth, and some believe there’s a connection. As the world goes to hell, with planes falling out of the sky, people committing bizarre acts of violence, and more and more crazies roaming the streets, John finds himself in a struggle not only to protect himself, but also to save the love of his life. My Review: I don’t usually like a lot of the Sci-Fi horror zombie type books that come across my desk. They usually are just too far out there and never make me feel what you should. I don’t care for the movies either. King is about the only one I have been able to like and maybe Koontz. This one surprised me. I loved it. I found the mental haves and have nots a great concept. Loved the link of the comet. Yea I am a fan of the old movie Night Of The Comet. The ending is not what I wanted don’t get me wrong it is good I just didn’t want it to end that way. I would have like to see it move on a little longer too so I could see what the world looked like now. It should be interesting to see it populated mostly by insane people. Will look forward to more from this author. 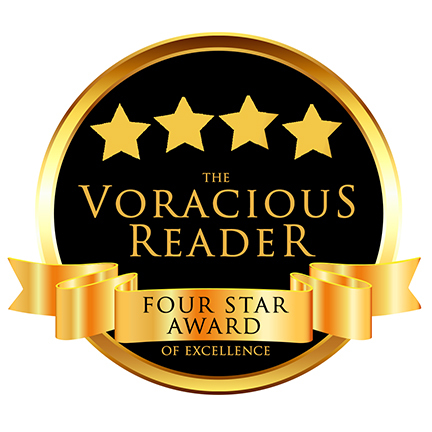 I give this a 4.5 star with just a little off for some rough editing here and there.